Parody has been a part of contemporary culture for centuries. Whether in literature, theater, film or art, rarely does a day go by when an example of a parody is not widely visible. In contemporary society, a parody is a satirical redux of art. It imitates another work of art to make light or make fun of it in some way. Many people see it as a form of ridicule, while others revere it as the highest form of flattery. It can be said that parody originated with the ancients in Greece. In ancient Greece, a parody was a song or poem that imitated the style and flow of another poem. The word parody, has Greek root words, with par meaning "beside" and ody referring to an "ode" or "song." One of the first examples of parody into English society was done around 1598. An author by the name of Ben Johnson wrote a work entitled "every Man in His Humour." In this work the word parody (then spelled parodie) was used to describe the work as something "absurder then it was." 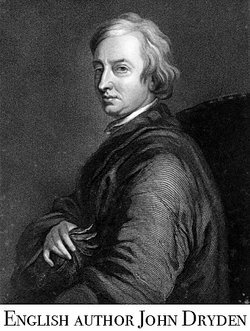 Additionally, other examples from centuries past was illustrated by an English author named John Dryden. In 1693, Dryden expanded upon the initial mention of parody used by Ben Johnson. Dryden's definition goes as far as to state that the word parodies refer to satyrique poetic works that were "turned into another sence than their author intended." Throughout the duration of the 17th and 18th centuries, Dryden went on to create several parodies that illustrated his definition of the word both of which were poems - which stayed in line with his original definition. As time came to pass, parodies became a part of everyday language. In contemporary society parodies surround us from every angle. Examples of parody which are widely used today are seen in film, television, music and books. Some of the most famous parodies that are easily recognizable come from the contemporary film genre. Another medium serving up parody is music. One major contender, musician and leading parody-man, Weird Al Yankovic, made a career out of his parodies of American popular music. He made popular musical parodies in the 1980s that rivaled many of the artists' work that he ridiculed. One of the more visible parody examples that the viewing public sees weekly is via television. Many sketch comedy shows have managed to take the initial notion of parody to the extreme - often going beyond merely pushing the envelope. The ever popular "Saturday Night Live" where there is a live broadcast of satirical sketches that ridicule the latest celebrity or reality star in the headlines, or even what is going on in the news. In the late 1980s - early 1990s, the FOX network broadcast a sketch reality show that really pushed the envelope entitled "In Living Color." Only a few years ago, the Comedy Central aired "Chappelle's Show," a show headlined by standup comic Dave Chappelle. Chappelle's Show was no holds bar about parody. Much like its predecessors Saturday Night Live and In Living Color, Chappelle's Show had no qualms about parodying a celebrity, their lifestyle, latest film, or any current event in contemporary society. Quite often, you can catch a parody being done on a local radio stations. Disc Jockeys sometimes make up 20-second spots parodying a rap artist or singer. Whether it is done to pass the time, or just to make people laugh, parody is definitely a part of contemporary society. "Examples of Parody." YourDictionary, n.d. Web. 23 April 2019. <https://examples.yourdictionary.com/examples-of-parody.html>. How Did Melvin Frank Die?